A loyal customer is a good customer. Unfortunately, loyal customers aren’t easy to find - and they’re even harder to keep, especially without some sort of programme in place. Many organisations today have created or opted into loyalty schemes in order to keep their customers coming back for more. It’s a great tactic, but only if you do it right. We recently sat down with Datamine Partner Mike Parsons to hear his take on the future of loyalty schemes. Marketing: So Mike, tell us about the different kinds of loyalty programmes we’re seeing today. Mike: Well, I think the first thing to clear up is that, at least from my perspective, a loyalty programme isn't the same as a reward programme that offers a simple discount mechanism, simply because the latter gives you very little in the way of behavioural insight or customer engagement. That’s not to say reward programmes don’t work! They’re just not “loyalty” schemes. Proper loyalty schemes fall under one of two main categories. On the one hand, you’ve got individual loyalty programmes where companies create incentives for their own customers to come back and make repeat purchases. On the other hand, you’ve got aggregated schemes with many participating organisations, meaning people who buy into the loyalty coalition can redeem their points at one or more of the ‘village participant’ businesses. Marketing: Which is the more popular option and why? Mike: Coalition schemes seem to be more common these days, which I attribute in part to the fact that someone else is managing the programme brand, points accumulation and redemption mechanics. Given the wide range of participants in coalition schemes, you are also able to drive preference for your brand with new audiences and increase your overall customer insight. So, without having to run a loyalty business, you’re basically getting access to a larger market and a likelihood that more customers will shop with you. The only issue is that those customers may not ultimately be loyal to you, but rather to the scheme itself and the collective value they get from all of the participating businesses. In addition, the coalition “owns” the customer and can therefore control communications and access, so its definition of success might be different than yours. Marketing: How then do merchants define success? What do they want? Mike: I think what organisations really want is to get closer to their customers. They want to be able to understand how individual people are interacting with their brand and making purchases in order to tailor marketing campaigns towards them and give the customers value when they want or need it. With the continuous advancements in marketing automation and customer analytics, this is becoming easier and more accessible - but only if you have customer information. Being part of an aggregator loyalty scheme, you might be able to communicate with customers through the programme and receive some data about those customers. But that’s not the same as being able to talk to them wherever, whenever and however you want, or having the ability to add new loyalty mechanics if you see a need or a change in behaviour. If your only way of communicating with customers is through a coalition loyalty programme, there may be too many degrees of separation between you and the customer, which is directly related to your capability to use customer information to deliver offers and communications. And of course, coalition programmes generally hold their customer data close in order to lock you in – that’s their advantage, and they’re not going to share it. I think a lot of merchants are realising they need to do a health check on their approach to and the value of their loyalty scheme. Businesses need to ask what value they’re getting from their coalition scheme and determine either how to better leverage the coalition benefits, or whether they’d be better off ‘controlling their own destiny’, so to speak. Marketing: So why aren’t more companies doing it for themselves? Mike: The problem is that going it alone is much easier said than done. The value equation is really only in your favour if you have a strong internal customer experience and data analytics capability. Depending on your circumstance and the deal you strike, the coalition option may be a lot cheaper and less complex than doing it yourself. You can always get loyalty experts in to help you leverage the value better or support your coalition programme with supplementary activities. The other issue is that many businesses are heavily invested in their coalition loyalty scheme, both emotionally and financially – especially if they’ve been a part of it for multiple years and can attribute a notable chunk of their sales to it. So making the decision to ditch the coalition is a challenge many businesses aren’t always sure they’re ready to tackle. 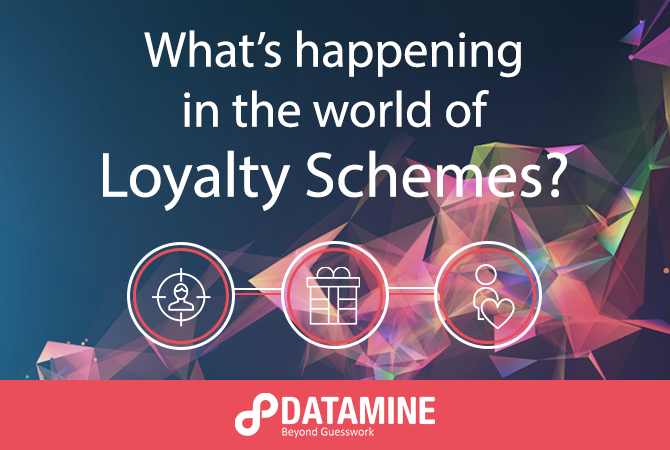 If you think a health check for your loyalty programme would be helpful, you can hop on a free phone consultation with myself or one of Datamine’s other loyalty experts to chat through your challenges and brainstorm potential solutions. To schedule a free phone chat, click below and someone from our loyalty team will be in touch with you shortly.